Muhammet Karabiyik, Yusra Alshanqityi, Thomas Coggin, and Helga Audunsdóttir. Photo by Robert Yasharian. The new doctoral candidates received their primary legal education in Iceland, Saudi Arabia, South Africa, and Turkey. 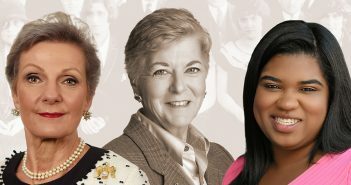 Their scholarly work ranges from a call for reform of the sponsorship system for foreign workers in the Gulf States to the corporate governance implications of inversion mergers; from rights-based claims to the city in India, South Africa, and Lain America to the finalization of arbitral awards in Turkey. The incoming S.J.D. students will be supervised by Associate Dean Nestor Davidson, Professor Jennifer Gordon, Professor Sean Griffith, and Professor Thomas Lee. Yusra Alshanqityi’s impetus to study law at King Abdul Aziz University in her native Saudi Arabia arose from witnessing the access-to-justice issues women and foreigners in the kingdom faced in their day-to-day lives. Years later, after interning at the African Services Committee, a nonprofit based in Harlem, where Alshanqityi worked on immigration and asylum cases, she made the decision to seek an S.J.D. at Fordham Law. This decision resulted from firsthand experience of the restrictions on education, movement, and property ownership foreign expatriates, and workers under the sponsorship system continued to encounter. Today, the Gulf States region is undergoing a legal reformation regarding foreign workers rights, made available through sponsorship systems—a consideration long ignored. In Qatar, for instance, the deaths of dozens of workers toiling in triple-digit heat in advance of the 2022 FIFA World Cup has raised awareness of how foreign workers are treated and has forced the country to address these dangerous conditions. 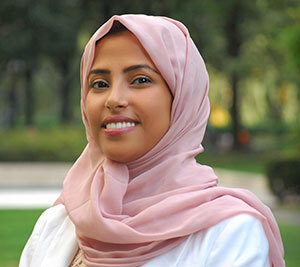 Alshanqityi’s doctoral research will focus on producing scholarship and proposals on labor law and labor rights for laborers that aims to reform the sponsorship system in the Gulf States, which include her native Saudi Arabia, the United Arab Emirates, Qatar, Bahrain, Kuwait, and Oman. “What I am trying to do is make these changes enforceable in reality, not just create laws that aren’t applied,” Alshanqityi said. She listed non-payment for contractors, access to healthcare and basic human rights, and payment for overtime as major ongoing concerns for Gulf State workers. Alshanqityi is no stranger to Fordham Law, having completed its LL.M. program in 2014 with a dual concentration in international law and justice and international dispute resolution. She also assisted Fordham Law Professor Russell Pearce on a book examining how people from different backgrounds bringing their personal ethics to the workplace could make for a better work product. Law Without Walls placed Fordham on Audunsdóttir’s radar. The strength of the Law School’s corporate law faculty and specialization ultimately sold her. 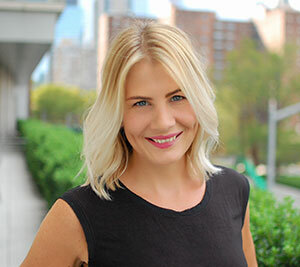 Audunsdóttir, an Iceland native, taught corporate law and researched capital markets law at Bifrost University and obtained an LL.M. from the University of Miami School of Law prior to enrolling at Fordham Law. Her dissertation on hedge fund activism will compare the U.S. and European legal systems, as well as how changes in the law affect hedge fund activity and how that influences shareholders and markets. The activism aspect refers to the ability for companies to manage hedge funds in a positive manner that create short- or long-term values prior to selling them. She credited Professor Sean J. Griffith with introducing hedge fund activism as an S.J.D. topic. The intersection of finance and the law is an important one in Audunsdóttir’s native Iceland. The 2008 economic crisis caused Iceland’s three major privately held banks to default and subsequently triggered a severe depression and significant political turmoil. “What happened with the Icelandic banking system increased how we observe the complexity of the system and the importance of the legal environment,” she said. This month at the United Nations Habitat III conference in Quito, Ecuador, the New Urban Agenda, an action-oriented document that sets goals for sustainable urban development, is expected to pass. Thomas Coggin was one of 20 experts selected to take part in the project, based on his career focus on making cities more inclusive, an idea also known as the right to the city. Coggin’s dissertation will focus on rights-based claims to the city in his native South Africa, India, and either Colombia or Brazil—each of which has visible spatial inequality illustrated by wealthy suburban areas abutting informal settlements. His research will draw upon work he previously did with the Socio-Economic Rights Institute, a South African public interest nongovernment organization, for developing rights to adequate housing in the country’s constitution. 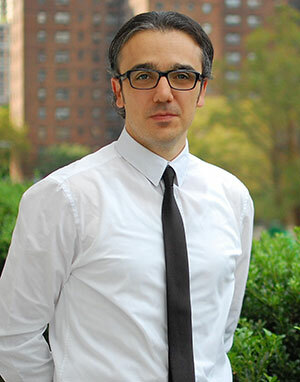 Coggin discovered Fordham’s Urban Law Center years ago while investigating the prospect of studying urban law in the United States. However, his route to Fordham happened in an “astounding” fashion, only a short time after he sent an exploratory email this winter to Nisha Mistry, then executive director of the Urban Law Center. At the beginning of April, Coggin had an apartment in Johannesburg with his partner, a faculty position at the University of the Witwatersrand (where he also received his LL.M. ), and considered his life in South Africa’s largest city settled. 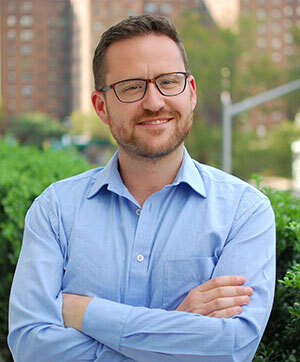 By month’s end, Coggin had not only visited Fordham, where he met Nestor M. Davidson, associate dean for academic affairs and co-director of the Urban Law Center, but received acceptance into the S.J.D. program. Obtaining an S.J.D. in the United States will not only open research doors, Coggin said, but will also help him better understand the challenges South African universities face, notably the exorbitant cost of education. “This experience enables me to reflect on and use the work I’ve done so far, and hopefully the S.J.D. experience will allow me to improve my career going forward,” he said, adding he would like to return to teaching when he completes the program. Since Turkey adopted its international arbitration law in 2001, the need for adequate jurisprudence to guide practitioners both there and abroad has become apparent. Muhammet Karabiyik plans on providing such guidance with a comprehensive examination of how Turkish law finalizes its arbitral awards to assist both Turkish and foreign practitioners. Karabiyik’s dissertation will seek to draw procedural comparisons between arbitration in the United States, Turkey, and France—notably how arbitral awards are determined and how each handles the finalization process of international arbitral awards. He previously served as a judge, prosecutor, and attorney-at-law in his native Turkey and also as a legal consultant for World Bank in Washington, D.C.
Arbitration’s universal nature, and the autonomy it provides, attracted Karabiyik to his chosen legal area. He previously obtained his LL.M. from American University Washington College of Law. Prior to enrolling in the S.J.D. program, Karabiyik participated in Fordham Law School’s Visiting Foreign Scholars and Research Fellows program, during which time he researched international arbitration laws of various countries and audited arbitration-related classes. The expertise and professionalism of Fordham Law professors and the Law School’s state-of-the-art building and facilities were among the advantages that served as selling points, he said.